Photoshop is a very useful image editing application that provides you with a lot of tools for creating and editing images. But it also needs a lot of resources to run well, and you may find yourself in a situation where you are troubleshooting a performance issue. If this is happening to you, then someone that is trying to help you may ask for your system information. 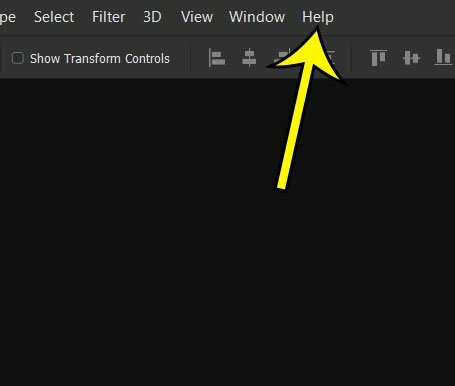 This helps that person know what system resources Photoshop is seeing so that they can identify potential problems or bottlenecks that are limiting your Photoshop performance. Where Can I Get My Photoshop CC System Information? The steps below were performed in the Photoshop CC version of the application that is part of the Creative Cloud subscription. Note that you will be able to copy your system information on the final screen so that you can send it to someone. Step 2: Select the Help option at the top of the window. Step 3: Choose the System info option from the menu. Note that it may take a few seconds for the application to collect your system information. Step 4: View your system information on this screen. You can click the Copy button at the right side of the window to copy that info to your clipboard so that you can paste it in another program. 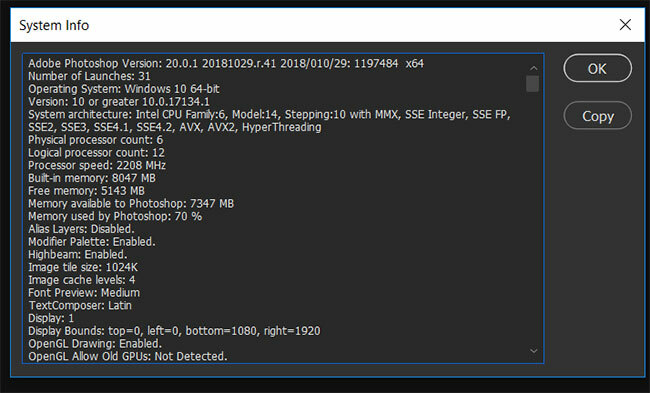 Do you have a dedicated graphics card installed on your computer, and you want to see if Photoshop is using it? 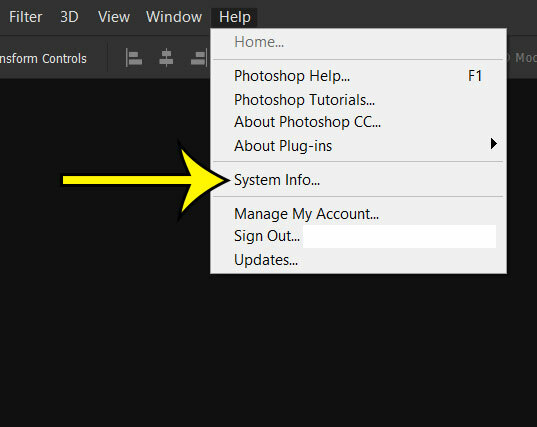 Find out how to view this information and check whether Photoshop is using dedicated or integrated system graphics.